Pages: xv + 256 pp. Probably the largest Islamic cultural event in central Europe (involving equestrian displays and marching bands), is named after a pious Muslim who laboured to spread Islam in the area and allegedly performed a miracle there. The Communists had banned the indigenous tradition in 1947 and imprisoned recalcitrant participants. Over the past 25 years, this annual event has become one of the largest local religious pilgrimages in Europe, complete with conspicuous troupes of people wearing period folk costumes, horse parades and visiting dignitaries from abroad. Some Muslims, however, have objected on the grounds that the entire Tradicija (tradition) is fundamentally un-Islamic, rooted entirely in local practices and beliefs in contradistinction to orthodox Islam’s universalist appeal. 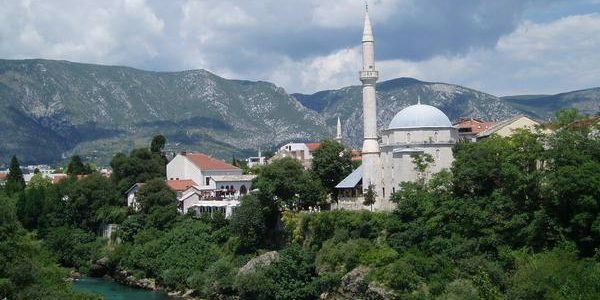 The presence, role and status of native Muslims and Islam in the Balkans can be an emotive topic for some scholars and community leaders. It certainly does much to inform outside observers about the ambiguities of modern conceptualizations of societal and cultural identity. The book under review, The Revival of Islam in the Balkans, is thus a welcome exposition of a much neglected subject. The book contains eleven chapters by as many contributors. AroldaElbasani, a Jean Monnet Fellow at the Robert Schuman Centre for Advanced Studies in Italy, writes a superb Introduction outlining the book’s central thesis, which questions much of the popular scholarship on Muslims and Islam. Roy, Head of the Mediterranean Programme at the same institute, under-takes a similar concluding chapter where he urges that the old paradigms that restricted religious affiliation to ethno-national identity are hopelessly archaic and need to be discarded. The book is divided into three main sections. Part I starts by challenging much contemporary academic literature and sketching a new analytical framework that focuses on believers’ experiences and relations to faith. Part II explores various case studies that demonstrate how the Muslim faithful actually experience, resist and reinvent… classicatory systems during everyday practice. And, naturally, the third part examines precisely how local Muslims engage withthe public space, and construct arguments to legitimize Islam as part of a complicated process of justifying particular choices inside their various post-Communist polities. All the contributors employ a wide variety of source materials and field research to substantiate their arguments andit was certainly good to see many citing the under-rated FikretKarčić, Professor at the Faculty of Law and of Islamic Studies in the University of Sarajevo, as well as President of the Constitutional Court of the Islamic Community in Bosnia and Herzegovina. This wonderfully accessible tome is part of the impressive Palgrave Macmillan ‘Islam and Nationalism’ series and Elbasani belongs to a wave of young researchers bringing fresh new perspectives and energy to this field of study. This book constitutes a very important and intelligent contribution, and certainly compares extremely well with the recent and popular Rediscovering the Ummah: Muslims in the Balkans between Nationalism and Transnationalism by Ina Merdjanova (2013). Based on sound empirical evidence, it will challenge some readers with persuasive conclusions regarding Muslims following the collapse of Communism in Eastern Europe. It certainly helps to thresh out a topic that has largely been neglected or glossed over(or connoted with other pressing issues) as the alleged Islamic revival in this region has aroused concern and anger-wagging questions amongst some Western media and politicians. Elbasani and Roy believe this is because they simplistically perceive faith here as purely ethno-national phenomena associated with rigid cultural identity paradigms without considering how the faithful themselves understand, experience and interpret Islam. The highlight must be the chapter ‘Islam and Orientalism in Contemporary Albania’ by EnisSulstarova. This is an excellent essay discussing patterns of behaviour amongst educated Albanians (Muslim and otherwise) since 1991. Issues around inter-generational continuity and evolving social roles are all explored with interesting results. Sulstarova touches especially on the complex literature and political opinions expressed by Albanian intellectuals towards Islam, which illustrate the fact that they appear to be more informed by emotive topoi rooted in dated Orientalism than by a particular knowledge of the faith itself. Two decades after the introduction of democracy, the religion still appears to be perceived by the nativeintelligentsia through the interpretative lens of near-hysterical Albanian nationalist propaganda and forgotten Communist theory. For example, although raised in a Muslim family, the influential author, Ismail Kadare, has consistently articulated a negative vision of Islam or at least the experience of Islam in Albania. His views are unmistakably rooted in profoundly outmoded comprehensions rooted in old-fashioned Orientalism, which have little bearing onthe lived experience of the Muslim faithful in the society around him. Alas, he is not alone. Sulstarova makes a very persuasive argument. Overall, my only criticisms of this book are very minor. Maps would have been very instructive. In a work this complex, the occasional spelling error was inevitable: I am reasonably sure Behar Sadriu meant to write that Dr. ShefqetKrasniqi was a prolific translator of eminent – rather than imminent – international Islamic scholars. Furthermore, in view of the lengthy discussions of indigenous forms of Islam and Muslim practice, I was hoping to see more about the revival of the localized Muslim ceremonies and traditions or the proliferation of Islamic choirs (such as the HorenNahl for instance) singing various Nasheed or ilahijeik aside. It would have been advantageous, too, if this book had teased out the theme of Muslim culture and the arts a wee bit more, in addition to discussing how ordinary Muslimsthere perceive issues about theology and spirituality, complex mnemonic practices, various forms of cultural intimacy and the organization of religion in a modern secular polity. Having mentioned Kadare, one wonders, for example, what role the legacy of MešaSelimović – plays in modern Bosnia-Hercegovina? Selimović, who hailed from Tuzla in central Bosnia, famously proclaimed himself a Serbian Muslim and relocated to Belgrade during the Communist era. Do young Muslims in Eastern Europe still read his books? What of the plethora of comparatively ‘Muslim-friendly’ movies of socialist Yugoslavia? Do indigenous Muslims still view old films likeHasanaginica (1967) or Dervišismrt (1974)? Do Muslims of the Balkans still watch the cinematic gems of the late Abdurrahman Shala or FarukBegolli? Original, perceptive and immaculately edited, The Revival of Islam in the Balkans provides readers with a dispassionate survey of a complex subject. It will appeal principally to academics and tertiary students, especially those with an interest in anthropology, Eastern Europe, and religion.